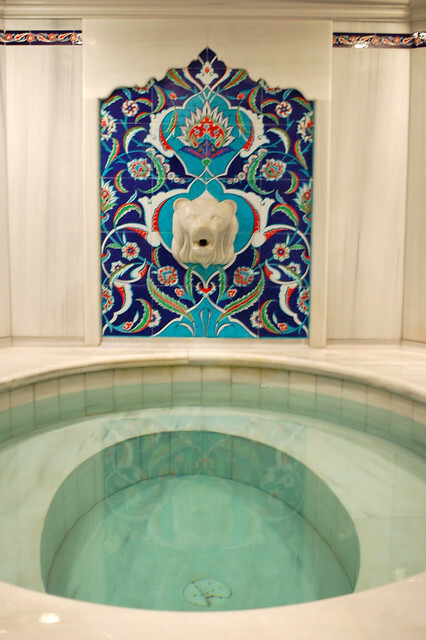 sunshine blog » Why a Turkish bath is a must-try experience! Close your eyes and imagine a Turkish beach resort … perhaps in Bodrum, Antalya or Cesme. Picture a high-end spa hotel with private beaches, open-air yoga classes and rejuvenating Turkish bath treatments. Are there better tonics than these for the months of woolly jumpers, central heating and frosty mornings that we have ahead of us in the UK? If you’ve never taken a Turkish bath (or hamam), I thoroughly recommend that you try one next time you visit Turkey. Some hotels even include a free one within their all-inclusive packages. Need more convincing? Here are five reasons why the Turkish bath experience is an essential part of every Turkish beach holiday. 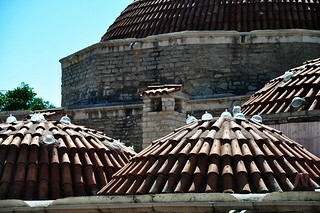 Try to book in for your hamam on the first morning of your holiday. That way your skin will be expertly exfoliated before it sees a single ray of sunshine. A key part of the treatment is a full-on rub down (between your toes, behind your knees and into your armpits!) with an exfoliation mitt, which removes a layer of dirt and old skin. It might not sound very pretty, but it helps your tan last a little bit longer than usual. 2 Spa treatment or sacrificial lamb? In a hamam you will lie down on a huge slab of warmed marble to receive your treatment, like a sacrificial offering in an Inca ritual. But don’t worry. That feeling quickly passes as every muscle in your body relaxes into the warmth and you gaze up at the sunlight filtering through slots in the domed roof. After the exfoliation and relaxation comes the comedy of the soap suds. Because you can usually take a hamam in pairs, this is your chance to see your loved one disguised as a cream bun. All you’ll see of them from your side of the marble slab is a mountain of lather piled high on top of their body, from head to foot. Perhaps take a waterproof camera in with you. The last thing you want when you feel this clean, smooth and relaxed is a bucket of cold water thrown over your head. But that’s more or less what happens next, as pails of cool water are spooned over you to rinse away the soap suds. The change of temperature certainly gets your blood pumping again. When you’re done, you’ll be led away into a different room to relax and enjoy the squeaky clean feeling. When you head into the hamam at a resort hotel, wearing your bikini or trunks, you are experiencing a traditional bathing routine – one that has cleansed the skin of Turkish men and women for hundreds of years and can even be traced back to the ancient Romans.